Memphis, my 8 year old German Shepherd is laying in what remains of my daughter’s Halloween stash. Memphis went into my daughter’s room, removed the pumpkin candy bag (pictured behind Memphis) from my daughter’s play table, carried it into another room and ate EVERY LAST PIECE including a KING size Hershey Bar. Conservative estimates are that she ate about a pound and a half of candy and chocolate. The vet is still amazed that she didn’t die! Naughty Memphis – glad she is Ok! Well Memphis has good Oral hygiene. She managed to eat a tube of toothpaste after all the candy. Look by her left front paw. maybe the reason she looks like a zombie is from allllll the candy! What happened to her ears? 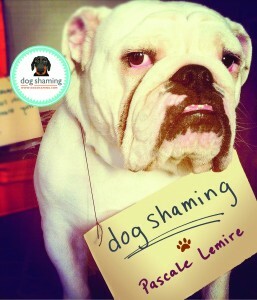 Was she that ashamed? well memphis thanks for the reminder to keep the candy out of reach of my little pooches. 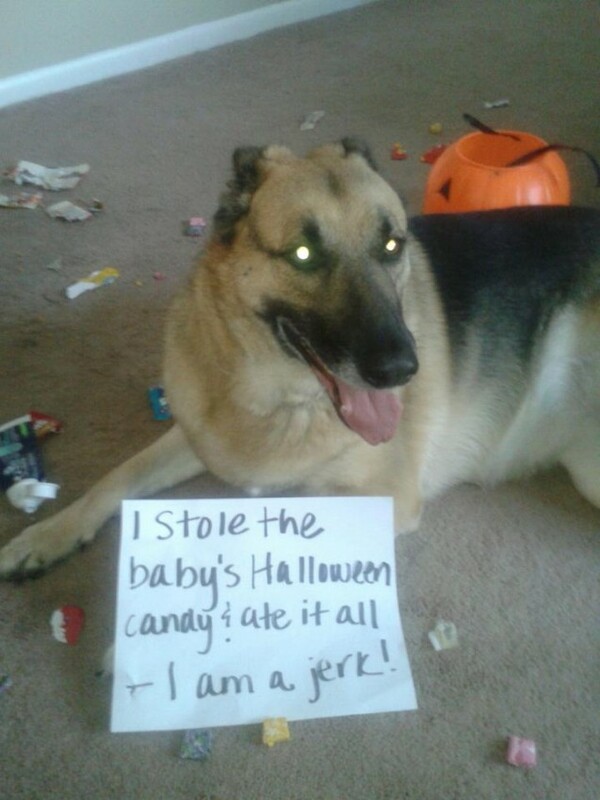 Was the little trick or treater going to share with her? So you can’t get too mad at her. Glad she is okay! A friend of mine’s dog ate a box of Godiva and it totally messed up her liver, she was really sickly for the last 2 years of her life…. I’m glad she is ok, she does look a little ashamed of herself!